One of the classic egg white cocktails. A key lime pie in a drink! So you’ve been down to your local craft cocktail joint and discovered that there is more to life than Jack and Coke and PBR. But $10 for a cocktail is ridiculous! You can do it for way cheaper at home, right? Yes, you can! And…no you can’t. As we’ll see, the true cost of a home bar where you can make cocktails like the tavern makes them is not as inexpensive as it may seem at first. However, if you have a specific cocktail (or two, or five) that you love, keeping the ingredients on hand for a limited selection of drinks is usually cheaper than buying them at the local watering hole. But that’s not really the point, is it? I mean, we’ll get to the cost of things in a future post, but really, you’re just interested in making cocktails, right? Yes? Then let’s get started. This is a high-level overview meant to convey the most basic and essential information on mixing cocktails. It’s a great way to get your feet wet but along the way, I’ll link to other articles that discuss each of these topics in more depth. This will also be a slightly longer post than most of the essays on this site will be because it’s going to cover a lot of information. If you want to jump to a specific topic, the links in the following paragraph will convey you to sections further down in this post. Links in subsequent paragraphs will take you to posts that discuss a given topic in more detail. First, we are going to discuss the essential tools you’ll need to mix your drinks. Then we’ll briefly cover some notes on glassware. Follow that up with some suggestions on ingredients and some instruction on basic bartending techniques. And finally, a few notes on flavor matching and proportions. You’ll be creating world class drinks in no time! The basic tools you’ll need to mix drinks are, fortunately, fairly limited and relatively inexpensive. You’ll need something with which to measure out your ingredients; a set of measuring spoons will work but a jigger is the preferred method. Also, something in which to chill and dilute your mixture; typically a good set of shaker tins and a mixing glass of some sort. You’ll need something to separate the cocktail from the ice; a Hawthorne Strainer and/or a Julep Strainer and a fine-mesh strainer will be sufficient. A barspoon, a decent citrus juicer, a couple of different peelers (a y-peeler for citrus peels and a channel peeler for citrus twists) and a muddler round out the list. I would also recommend having on hand a waiter’s corkscrew that can open capped bottles and, if you are working professionally behind an actual bar, a church key that can remove pour spouts. There are several types of specialty glasses cocktail bars will typically use to serve drinks. Although most home bars won’t have such a selection, we’ll still run through the basics quickly so you’re aware of them. Glassware needn’t be fancy nor expensive. Utilitarian glassware that will stand up to some abuse is the best option here. I find items made by Libby to be both durable and good-looking. Pint glass and Belgian beer glass: although a great many specialty beer glasses exist, you should really only need two types, a 16 oz pint glass (either straight-sided or Pilsner-shaped) for lagers and lighter beers and a 13 oz Belgian beer glass (or a Bel glass, as most bars call them for short) for more aromatic and higher ABV specialty craft brews. Old Fashioned glass (also called a rocks glass and, in some bars, a highball): this glass is used to hold all manner of chilled cocktails served over ice and, frequently, spirits served by themselves neat or on the rocks. Collins glass: this chimney-style glass is typically used for cocktails which include an effervescent mixer (e.g. soda water, Coke, ginger ale, etc.). Cocktail glass (also called a martini glass) and Coupe: used to hold chilled drinks that are served without ice. Red wine glass, white wine glass, champagne flute: used to serve the appropriate type of wine. Tulip glass: used to serve aperitivos, digestivos, port, and cordials. Julep Cup: metal cup used to serve Mint Juleps and other smashes. At home, I use mine for Moscow Mules too. Brandy snifter: although technically stemware, the purpose of this brandy and cognac glass is opposite that of most stemware. The low stem allows the hand to cup the drink from beneath, thereby warming it. Shot glass: designed to hold a variety of “shot” volumes, shot glasses that hold up to two ounces are the most functional. These allow service of straight 1.5 oz spirit shots and mixed shots that might have higher volumes. Wine carafe: holds a specified amount of wine (usually 6.5 oz) for wine service. You usually only find these in a bar or restaurant situation, not needed for home use. The adage “You get out what you put in” is true in life and even more true in cocktails. Choosing fresh, high-quality ingredients is essential if you want to produce excellent drinks. Although the definition of a cocktail has changed over time, most these days include ice, spirits or liqueurs or both, some type of sweetener, bitters, citrus or another mixer like Bloody Mary mix or cream, and a garnish. Let’s walk through them all briefly. Most craft cocktail bars these days employ three different types of ice, 1¼-inch cube ice (i.e. Kold-Draft), crushed or pellet ice, and carved or molded ice balls. Home bartenders that don’t have access to these specialty types of ice should opt for store-bought ice (the larger the cubes the better). Home freezer ice can sometimes harbor flavors of the food stored in the freezer and can contribute unwanted flavors to your drinks. Cracking larger cubes into smaller chunks with a muddler can give you crushed ice without having to buy it separately. A spirit is an alcoholic beverage distilled from a fermented mixture of some sort. Liqueurs are spirits that have other stuff added to them after the distillation process like sugar, juice, cream, etc. Spirits and liqueurs are the foundation of your cocktail. The dominant alcoholic ingredient is called the base (cocktails with more than one spirit or liqueur in nearly equal measures can be said to have a split base). Obviously, the better your alcoholic ingredient tastes, the better the cocktail will taste, but use sound judgement when deciding. A spirit-forward cocktail like a Sazerac will benefit from an excellent rye whiskey but that same rye used in a whiskey coke would be wasted. In that situation use a cheaper, but still high quality whiskey. The home bar should have a decent well lineup that includes all the basic spirits and a few classic liqueurs. In general, your well spirits should be a delicious middle-of-the road choice that is distilled with expertise and attention to detail without breaking the bank. I've included some options for well spirits below. A few notes. With the spirits, my preferred choice is listed first. I didn't include any Canadian Whiskey on this list because, in general, it's not necessary in a home bar; a high quality bourbon can always replace a Canadian Whiskey and, in my opinion, the cocktail will be better off for it. With respect to the vermouths, the two options listed under dry vermouths are extremely different in flavor, as are those in the sweet vermouth category. If you're unsure about what type of vermouth to choose, go here for some reviews on the different flavor profiles on dry and sweet vermouths and choose one that suits you. With the liqueurs, amari, and herbal options, there is no need to stock everything. If you have all of them, you'll be able to make nearly any classic cocktail, but what you stock in your home bar is obviously completely up to your personal preference and what you'll be making most often. The sweetening agent in a cocktail isn’t always a syrup, it is often a sweeter liqueur such as Luxardo Maraschino Liqueur or Chartreuse, but the sweetening agent called for in many classics is simple syrup, a 1:1 ratio (by weight) of white sugar and water. Often, changing up the sweetening agent makes for a more interesting cocktail. The display of dozens of syrup “cheater” bottles on the bar top has become a common sight in craft cocktail bars across the nation. In addition to other types of sweetener syrups (house-made grenadine, honey syrup, demerara syrup) bars will have several specialty syrups they produce (sugar water infused with rosemary, saffron, vanilla bean, etc.). Your imagination is the limit but for the home bar it’s nice to have a few homemade syrups on hand. I recommend at least a 1:1 simple syrup, a 1:1 honey syrup, and a 1:1 demerara syrup (or turbinado if you can’t find demerara). Make them in small batches and keep them in the fridge so they don’t spoil before you use them. 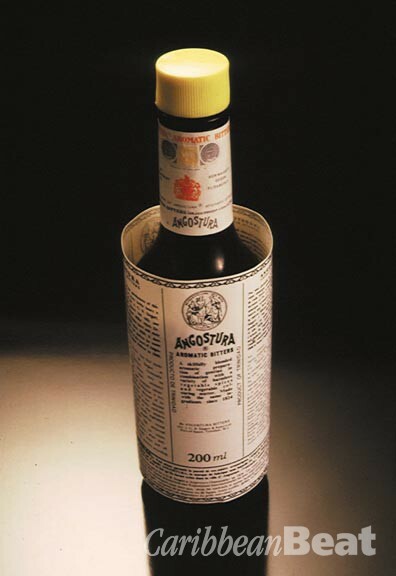 Gone are the days when the only bitters to be found behind the bar was a dusty bottle of Angostura. The process of making bitters is actually pretty easy, and as a result, there has been a flood of “craft” bitters coming to market in the past few years. It’s fun to experiment with them but they can be pricey. I recommend that your home bar has, at the very least, a bottle of Angostura bitters, a bottle of Peychaud’s bitters, and a bottle of orange bitters (Regans' makes a good one). This will allow you to make most classic cocktails. If you want to experiment a bit, rounding out your collection with bottles of vanilla, peach, grapefruit, and lemon bitters will add interesting twists to your concoctions. The original definition of a cocktail only included: spirit, water, sweetener, and bitters. Anything else wasn’t a cocktail, it was a smash or a shrub or flip or a fizz, etc. 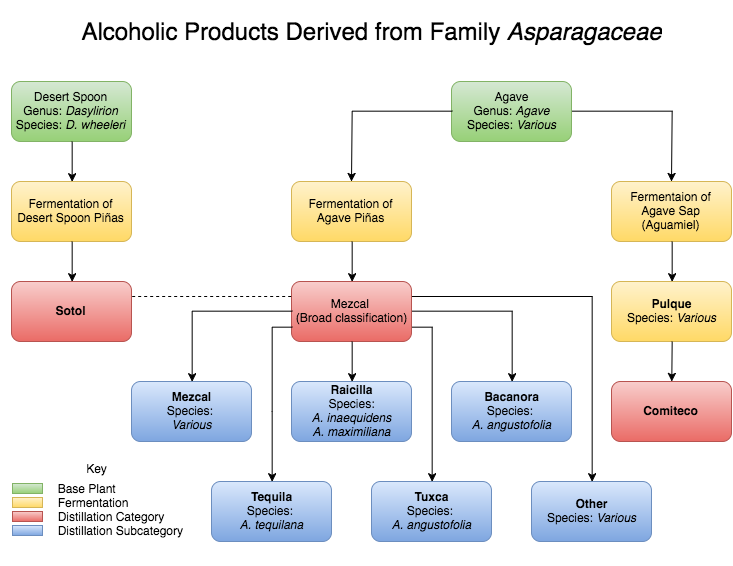 Over time, most of these classifications fell away and anything that was a mixture of booze and “other stuff” became known as a cocktail. That “other stuff” can include a lot of different things. One of the most common additional ingredients is fruit juice, and I can tell you from lots of personal experience, nothing ruins a cocktail faster than processed, pasteurized, store-bought juice. Always fresh squeeze your juice. Yes, it’s more expensive, but it’s not nearly as expensive as the booze you’ll be ruining with gross juice. We’ll cover other mixers in more detail in future posts but I’ll just say before we move on to always include the best mixers you can afford: organic eggs and cream, sodas with real sugar, soda water with heavy carbonation, excellent Bloody Mary mix, etc. It doesn’t happen as often as it used to but whenever I go into a cocktail bar and have an elaborate garnish in my drink, I immediately wonder if the bartender is trying to make up for a sub-par concoction with some fancy eye candy. A garnish should definitely add visual interest to the drink but much more importantly, it should contribute to either the taste or aroma (or both) of the cocktail in a way that makes sense. A simple orange or lemon swath with the citrus oils expressed over the surface of the drink and rim of the glass goes a lot farther than a fancy carved citrus peel that is too delicate to express the oils from. Use your own discretion but in my opinion, simpler garnishes that enhance the flavor of the cocktail are better than those that don’t. Mechanically, the techniques used to mix cocktails are pretty straightforward, and while it may take time for you to be proficient at it, the essential concepts can be grasped in just a couple of minutes. There are four basic steps to making a single cocktail (when making multiple, different cocktails at once there are a few other things to consider but we’ll get to that in a future post). The first step is to chill your glassware, I do this with pellet ice but if you have fridge or freezer space that works too. Second, combine the ingredients in your mixing container. This could be your shaker tin, your mixing glass, or the serving glass itself. Although there are lots of professional bartenders who can count out their pours and make a perfect cocktail every time, I recommend that home bartenders (and newbies working professionally) jigger everything. Also, investing in high quality speed pourers will make dispensing your precious booze precisely much easier, and you’ll waste a lot less. Third, mix the cocktail. In general, there are four ways to mix a drink: building, stirring, rolling, and shaking. A cocktail is built when the ingredients are simply poured into the glass together; this works best with an effervescent mixer, i.e. Coca Cola in a bourbon and Coke. A cocktail is typically stirred when clarity is desired in the final result, usually when the ingredients are limited to spirits, sugar, and bitters, i.e. the Old Fashioned and the Manhattan. Rolling is a seldom­ employed technique used when low levels of dilution are desired or when shaking will introduce too much air, i.e. the Bloody Mary. Basically, the ingredients are sloshed gently, with ice, from one mixing tin to another. Shaking is generally reserved for drinks with citrus, cream, or egg whites, i.e. the Aviation, the Dirty Bird, and the Pisco Sour. The vigorous action of shaking emulsifies and homogenizes ingredients that would otherwise separate into layers. Finally, if the cocktail wasn’t built in the glass it will be served in, strain it into your chilled serving glass and garnish it. That’s it, you’re done! Drink and enjoy. Once you have the basics mechanics of bartending down, and you’ve developed a home bar with a few more liquor options than the absolute essentials (it will happen over time, trust me) you may want to try your hand at creating your own cocktails. A good place to start is to take a classic, say, the Mojito, and introduce a different base spirit say, Mezcal, we’ll call it the Mezquito. Tequila, mezcal, and rum all work well with lime and mint so it’s an easy (and delicious) substitution. This method helps introduce you to new spirits and flavor combinations. After a while, you’ll start to figure out what works well together and be more adventurous with your concoctions. There are two things I take into account every time I put together a new cocktail (which, in the bar I work for, happens nearly every night): flavor matching and balance. I take what I know from my past experience about what flavors tend to work well together and add one or two variations to the mix, a different bittering agent or sweetener, or a different split base, a different citrus, etc. Then, when I have decided what ingredients to use, I strive for a balance of sweetness, bitterness, tartness (sometimes) and spirit base to make the drink work. I realize, if this is your first foray into drink creation, these may seem like somewhat nebulous concepts so I’ll give you a real world example to make things a bit more concrete and then conclude this (very long) post. The other day a guest asked for a spicy, gin-based cocktail. There are a lot of routes I could have taken but based on what she’d had (and liked) previously, I decided to go floral and citrusy. I decided to base the cocktail on a classic called the Aviation which is composed of gin, maraschino liqueur, creme de violet, and lemon juice. I decided to change the maraschino liqueur to elderflower to increase the floral nature of the drink, add some orange bitters and a couple drops of some extremely spicy house-made habanero-infused tequila, and top the drink with Sprite. I knew the flavors would work together because of past experience and my familiarity with the Aviation so all I had left was to ensure the drink was balanced. The first few times you try to balance a cocktail it’s a lot of trial and error but over time, as you get more familiar with the ingredients you’ll be more confident in your ratios. That said, I still taste as I go along and adjust on the fly if need be. So I added everything except the Sprite to my shaker tin and increased the amount of lemon juice over what the Aviation calls for to counteract the added sweetness of the soda and elderflower liqueur. I shook it with Kold-Draft, strained it into a Collins glass, added some pellet ice, and topped it off with Sprite. I called it the Kitty Hawk Express as an homage to its foundation, the Aviation, and finished it off with an orange twist. She loved it, which was a pretty good feeling. These moments of success, of having a happy guest love your creation, are what hospitality and bartending are all about. Everything else, the mechanics, the product knowledge, the creation process, is merely the groundwork for the ultimate goal of a satisfied you if you’re making cocktails at home or a satisfied guest if you’re behind a working bar. I hope this overview has given you a taste for bartending. If you want to explore further click any of the links in this post. If you are reading the lessons in order, click here for the next one, on measuring, or here to see the lessons landing page. Happy mixing!